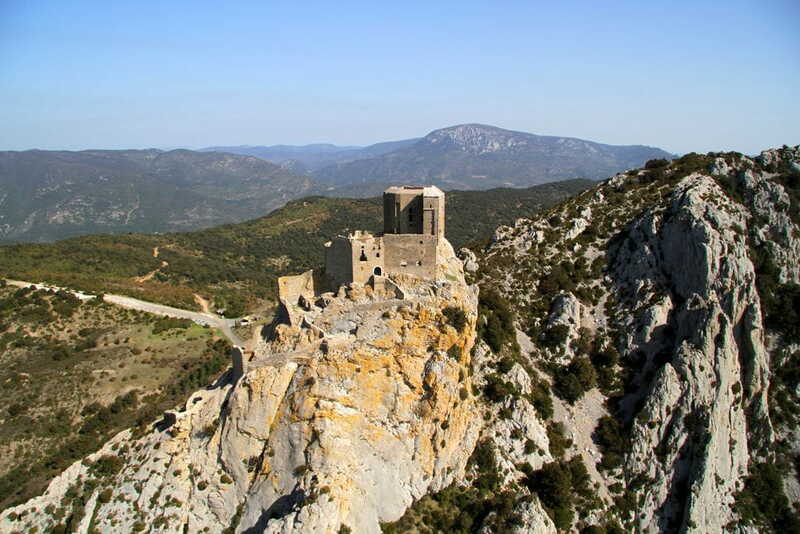 We will meet you at the Perpignan Rivesaltes Sud de France airport, in Helittoral Helicoptères office where the dream will begin, an unforgettable experience: a helicopter flight to discover the Cathar castles from the air. After check-in and a safety briefing from your pilot, you board the Alouette II. The helicopter is a transparent bug-eye bubble, offering passengers awe inspiring views all around, so you can just sit back and admire the beautiful Cathar landscape. 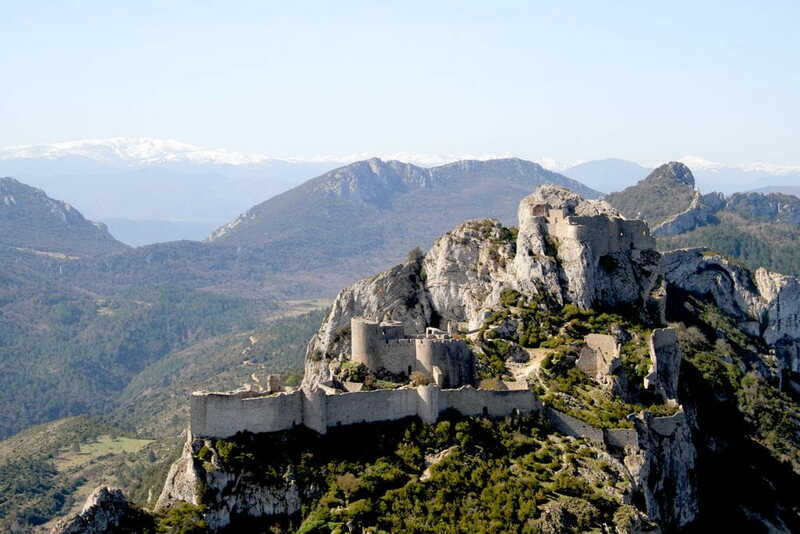 You won’t believe your eyes and will have a truly unforgettable experience, don’t forget your camera to immortalize this “Cathar Castles” flight! During the 35 minute flight you will be able to communicate with your pilot thanks to your radio headset, discovering information on each monument you fly over including Notre Dame de Penes hermitage, Cucugnan castle, Peyrepertuse castle, grau de Maury, Quéribus castles and Estagel. Why not offer a flight for a birthday, a bachelor or hen party or just for pleasure?